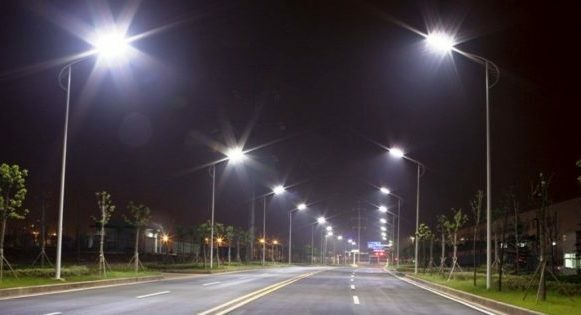 A man in the United Kingdom is warning that the 5G technology found in street lamps can cause some moderate to severe health concerns. A few of those concerns include nosebleeds, insomnia, and the more severe stillbirths. One man has decided to speak out about a sudden spike in health problems he believes are related to LED street lamps that purportedly emit 5G radiation. In Gateshead, a town in Northern England, citizens are reporting an array of disturbing side effects including insomnia, nosebleeds, and even stillbirths. However, Mark Steele has something to say about it. Steele says that a number of people who have been suffering from nosebleeds, insomnia, and other neurological problems since the lights were put in place continues to rise. As bad as that may seem, it gets worse still: Multiple women have lost their babies since the street lamps have gone up. In his own circle of friends, Steele explains, three women have lost babies; one of which was born with severe defects and survived just a few hours after birth. “We are seeing babies dying in the womb as these transmitters are situated outside people’s bedroom windows. It’s a humanitarian crisis,” Steele reportedly commented. According to The Daily Mail UK, the Gateshead Council dismissed concerns over the borough’s street lights as “entirely false conspiracy theories” with “no scientific basis or credible evidence” in a Facebook post. However, according to Professor Ulrich Warnke, from the University of Saarland, EMF radiation, which is given out by light transmitters, causes disruption to the body’s nitrogen monoxide system, which keeps cells healthy and controls gene expression. The Gateshead council also claims that despite rumors that they are participating in government experimental trials, that’s not why they installed the lights.